Lots keeping me busy. Nothing new there. Blogging Slacker is my name. I need to post just quick posts more often, that way I don't feel like I don't know where to begin when I do post!! Girls have been out of school for nearly three weeks. We have had so much going on, including their dance recital last weekend. It was awesome. By the end of the weekend, I had watched it 3 times!! Between dance competitions, rehearsal and two shows this year...that is a lot of dancing. Of course, I never get tired of watching my girls, but the prep is killer. In between running around, dance and quilting, I managed to do some summer decorating. I need to post those next, but I will post a quilt that I peeked last. 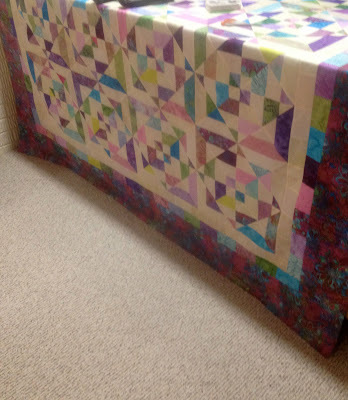 This gorgeous quilt was pieced by Vickie of Vickie Quilts blog. Vickie did a beautiful job!!! The quilt is called Pink Lemonade. It will be a raffle quilt to raise money for The American Heart Association. You can read all about it here. It is a wonderful story. 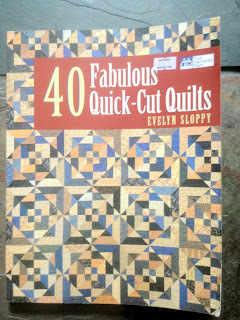 The quilt is from Evelyn Sloppy's book 40 Fabulous Quick-Cut Quilts and the pattern is "Honeyberries." 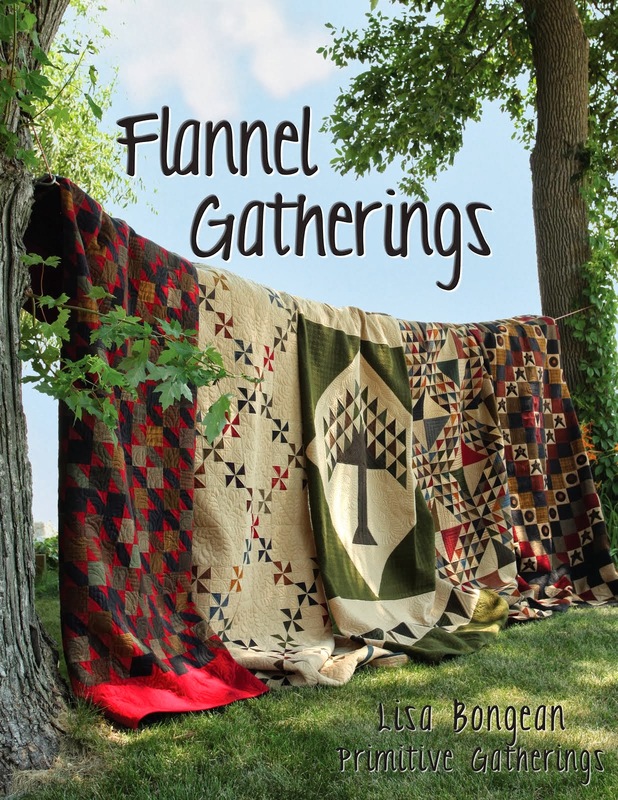 It is actually the quilt on the cover. I love how it turned out. I am very pleased to say the least because this quilt was super challenging for me...mentally. Vickie wanted custom quilting. Due to the striking and scrappy design...a custom design wasn't jumping out at me. Meaning, there isn't a lot of open areas, which are usually no-brainers for some custom quilting. It forced me to think "outside the box." Before quilting pic. It is also beautiful, although I had a hard time capturing the texture of the quilting in the photos. I know this quilt will be loved by some lucky winner!!! I am catching up on comments and emails, so I apologize for my slow response. Hope everyone has a great weekend! Don't worry about the blogging. I'm a slacker too. Summertime does that to us folks here in Michigan as we try to get caught up on everything outdoors in such a short amount of time! Happy summer to you and your family! Der Quillt ist wunderschön. Eine ganz tolle Arbeit. 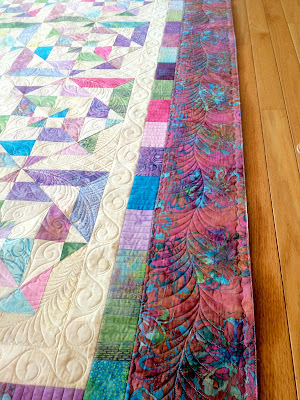 I think we all have been busy with summer, hard to stay inside when it is so beautiful outside;) Love the quilting and how you did the different designs in the sections, really beautiful. 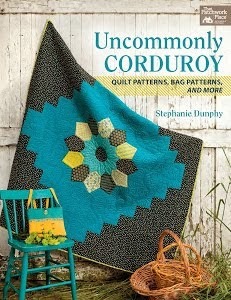 The quilt is beautiful and boy does it look different than the book cover! You did an amazing job. You have been busy! Enjoy the time with your girls! :) The quilt is gorgeous! I love the quilting designs you chose. Just gorgeous and as always you created the magic to pull this all together ! That is such a pretty quilt. Love how you quilted it, especially the curved cross hatching. I'm going to be a blog slacker soon too once the boys are out of school next week. 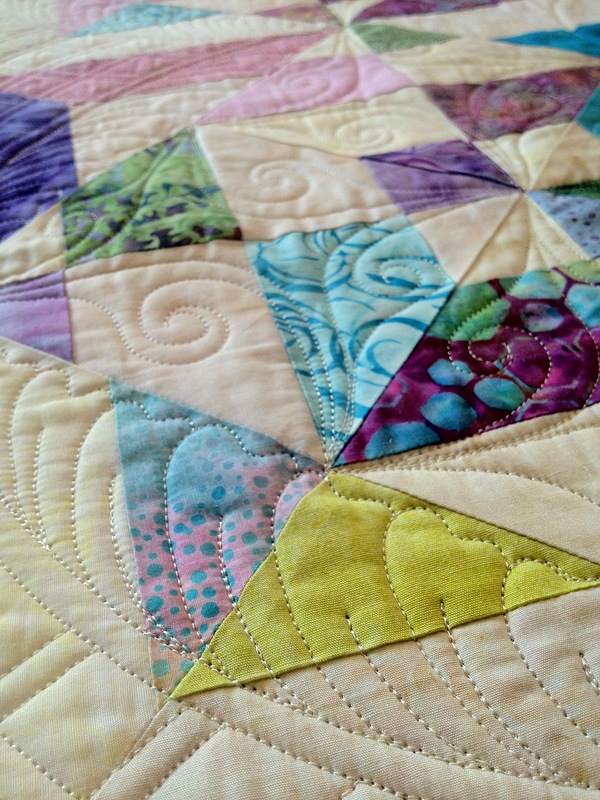 Beautiful colors and gorgeous quilting! THAT TURNED OUT SO SO PRETTY! I can see that must have been a real challenge to decide how to quilt it. When you have something like that, do you decide on the complete design before you start, or do you just start and see what happens? I want to reach through the laptop screen and feel the texture of the quilting! It looks brilliant! those photos do speak for themselves. Another beauty, Linda! I am always so impressed by how neat and tidy your edges are, too! Funny thing to say, I know, but it really means something to a longarmer! How beautiful! 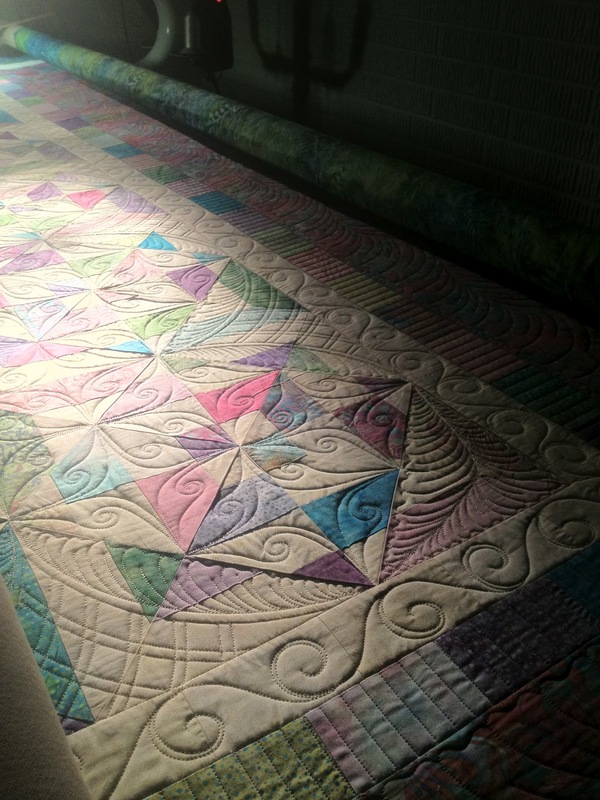 I just love the quilt - Vickie did a beautiful job - and your quilting just adds to the beauty. The perfect complement. Bravo. I think quilts definitely talk to you. I love the double line curvy quilting. A special quilt for a special cause. Such a beautiful quilt!! 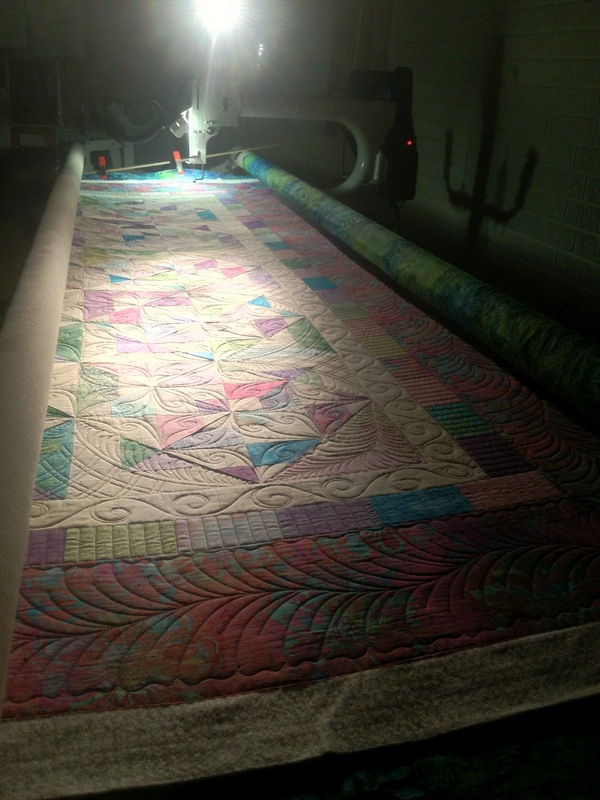 And the quilting is amazing! I've got that book, and will have to dig it out again. 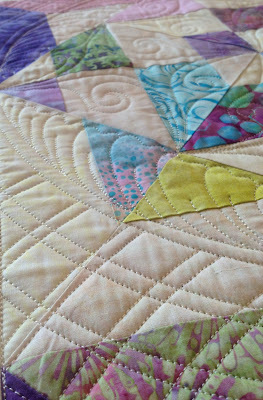 More beautiful quilting! I'm with you on summer being just God-awful busy. I need a break from it!